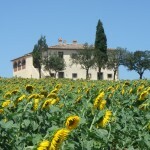 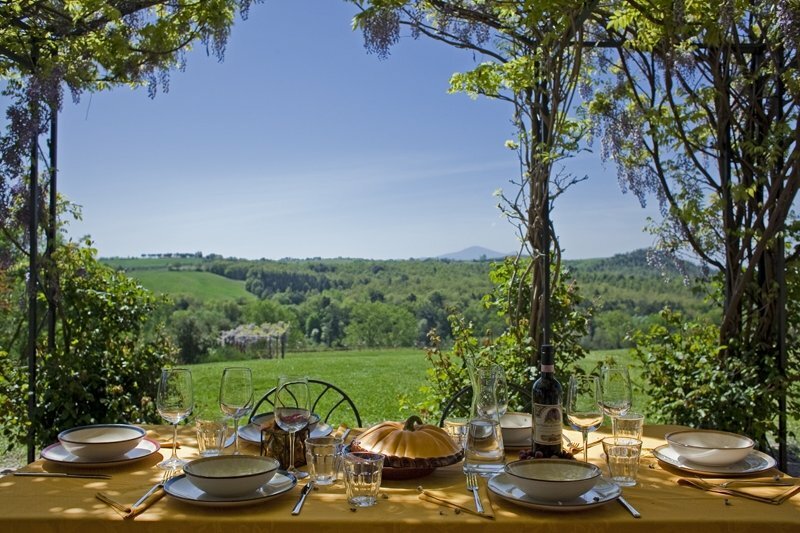 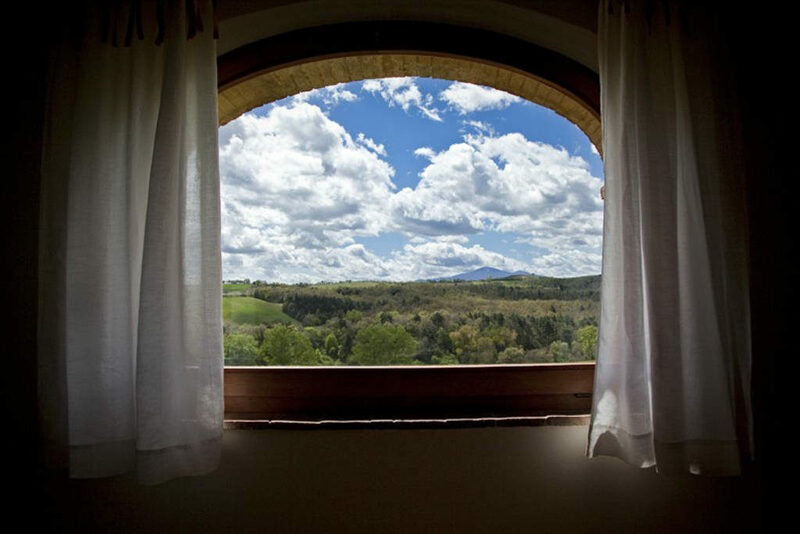 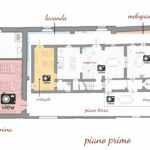 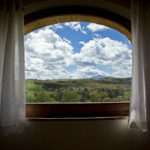 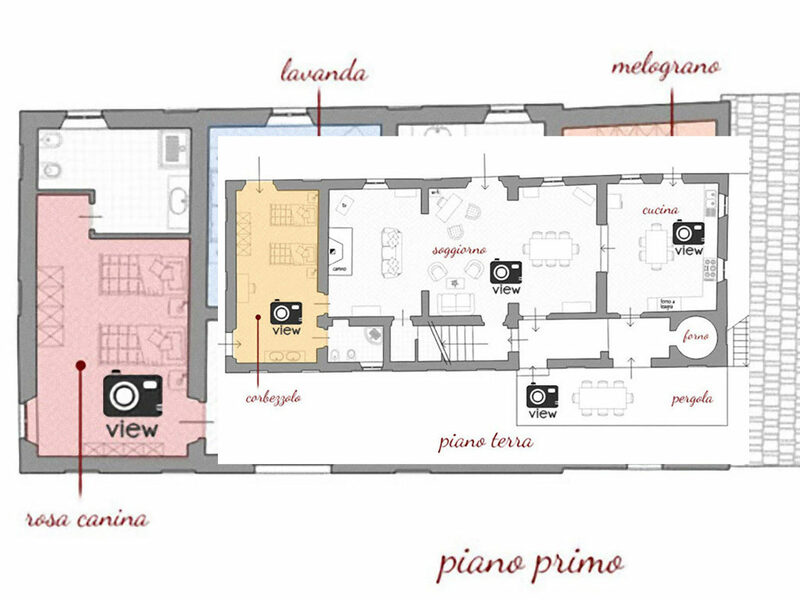 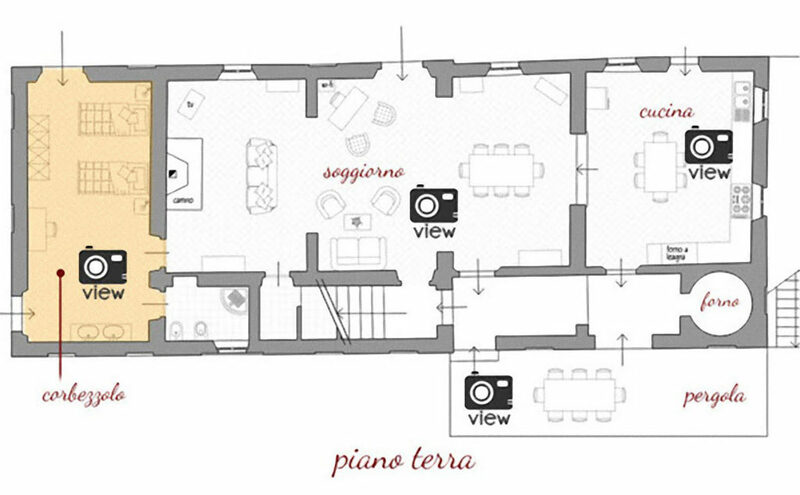 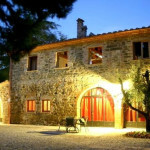 Since 2003 we are renting in the best location of Tuscany. Luxury is at Home at Villa Manciano. 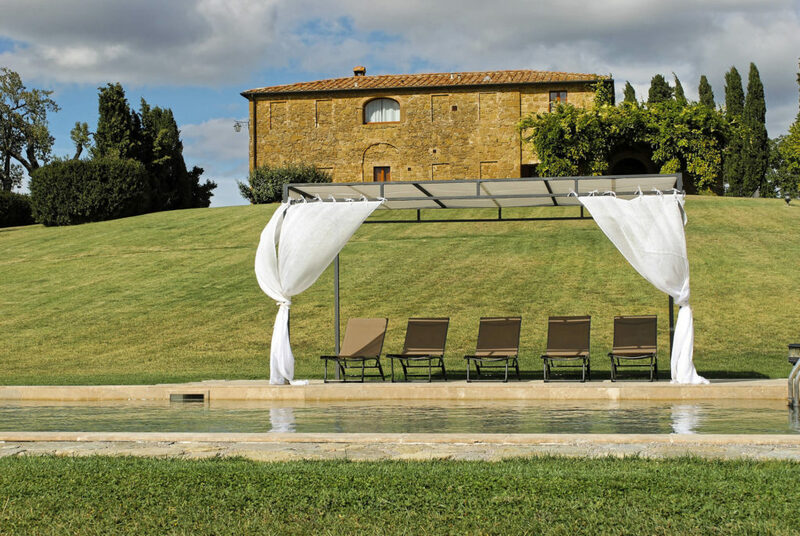 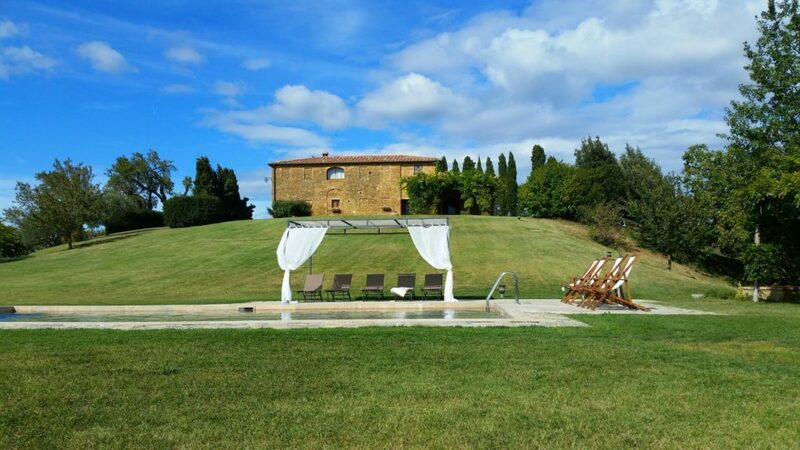 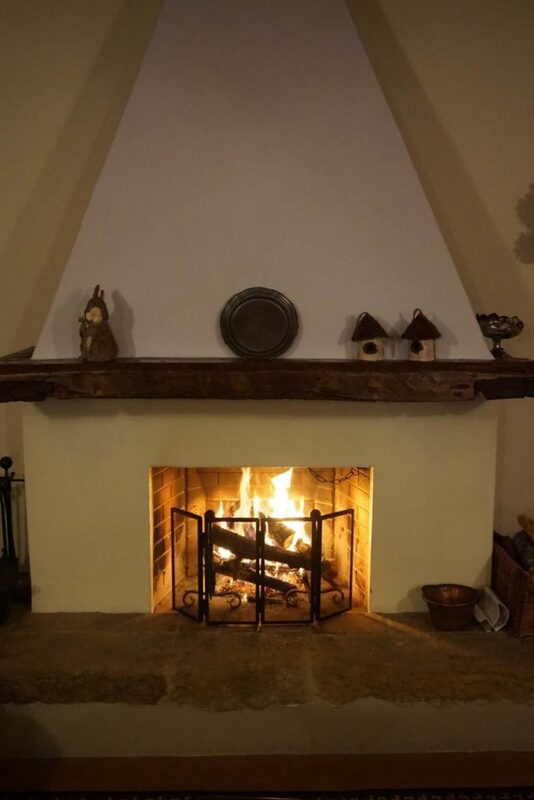 This unique, typical very well situates Property is located amidst the gently rolling Tuscan hills, between Pienza and Montepulciano, completely surrounded by organic plantations. 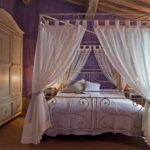 The rooms have been decorated with colors that recall the typical plants of the area, from red Rose hip to bright orange Strawberry tree, as well as the unmistakable shade of Lavender and pink-orange pomegranate. 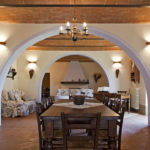 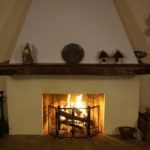 Luxury restoration, using original period materials, has maintained the style of the farm and ensured an ancient atmosphere. 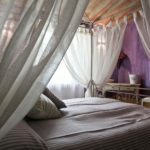 Stylish and spacious bathrooms, equipped with bathtub, shower and all amenities to complete intimate privacy during your stay. 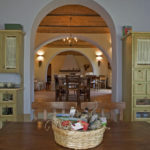 The ground floor has direct access to the garden on three sides of the villa. 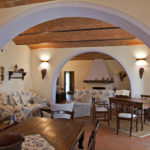 The large, brick-vaulted living room features a large dining table, two comfortable sofas and an attractive fireplace. 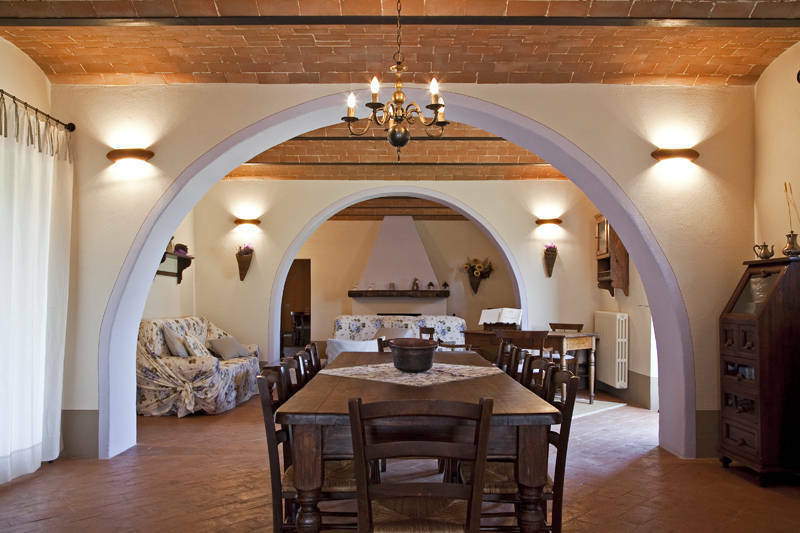 This room leads onto the sunny and spacious fully-equipped kitchen with brick oven and garden access. 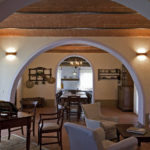 You will find everything you need here for convenient self-catering. 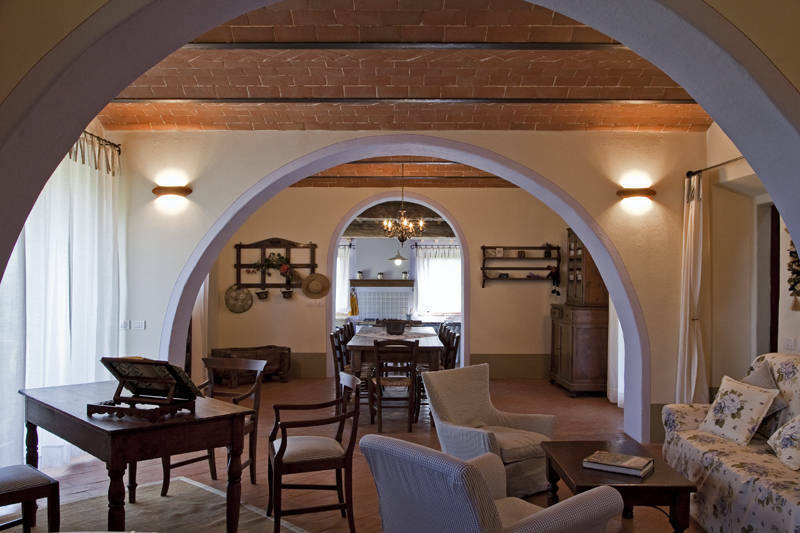 The cotto floors, beamed ceilings and vaulted halls frame each living space and recreate the peace of the external natural environment. 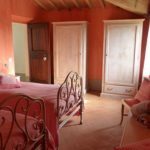 A hallway leads to the ground floor bedroom with two full size beds and en suite bathroom with shower. 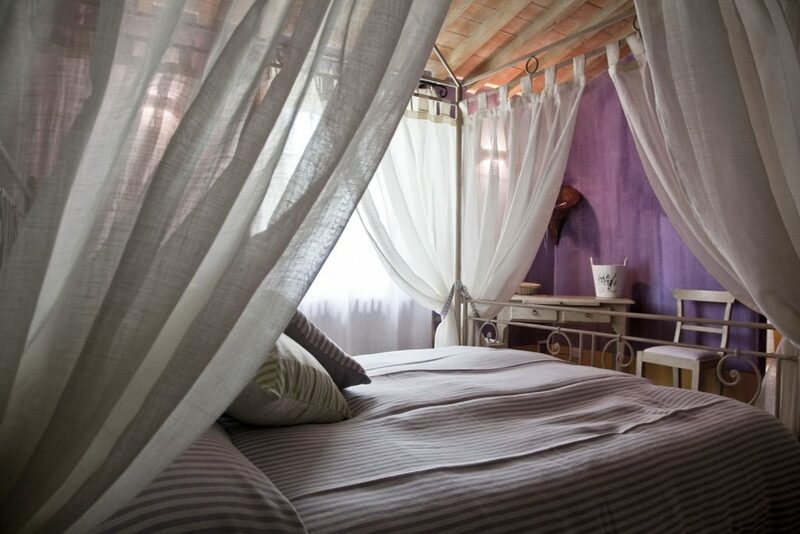 STRAWBERRY TREE ROOM: this pretty room sleeps up to 4 guests in 2 queen sized beds. 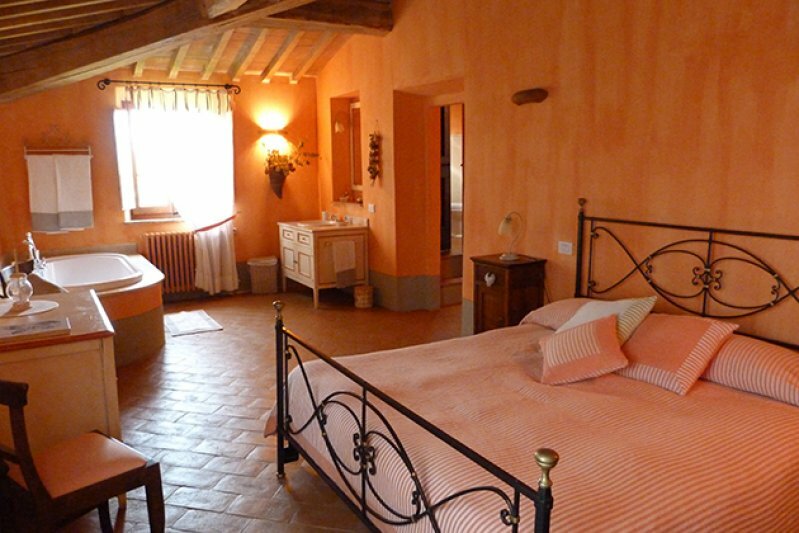 The walls are deep orange, the typical color of the Strawberry tree, and the beds are pale green, the color of the first leaves of spring, creating a cozy, sunny atmosphere.There is direct access to the garden from the room. 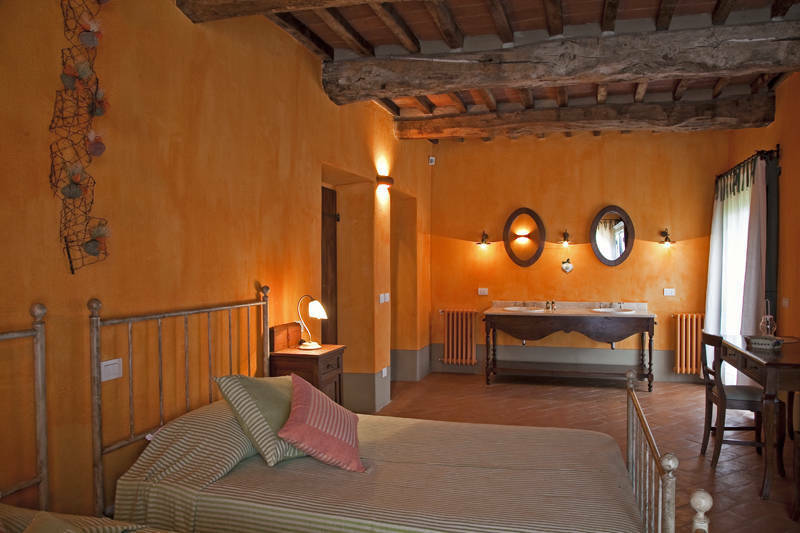 This bedroom has a bathroom with shower. 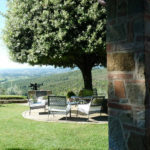 The hall offers direct access to a little portico, where there is a wood burning oven and a pergola covered with beautiful wisteria, making it the perfect shady setting for an “al fresco” lunch or dinner..
From the pergola there is a view of the swimming pool and the gently rolling Tuscan hills. 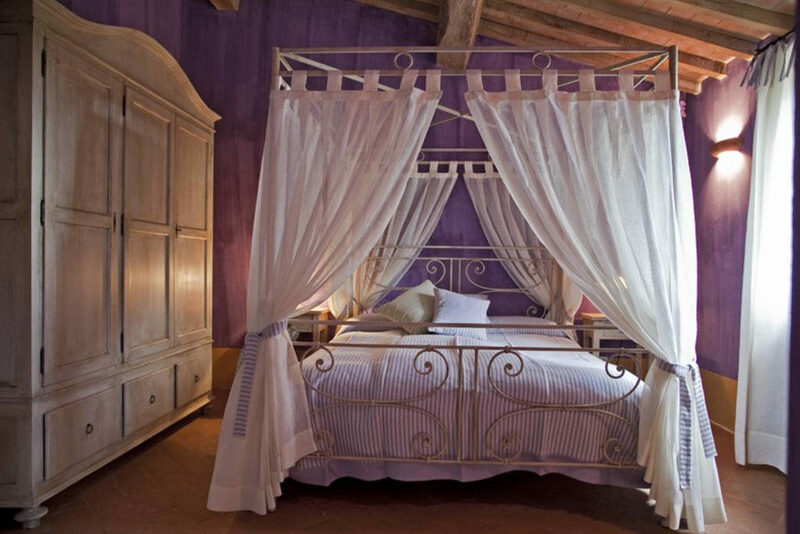 ROSE-HIP ROOM (2 SINGLE BEDS): its deep red color, typical of rose-hip berries, makes this room extremely pretty and cozy. 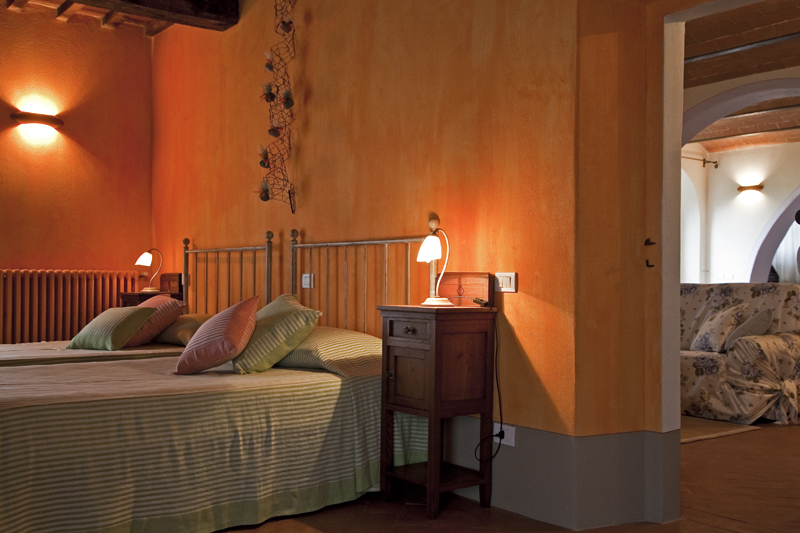 At sunset the sun’s rays strike the walls, creating a wonderful interplay of light. 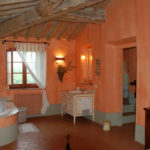 The bathroom, with a shower and large sink, is the same color. 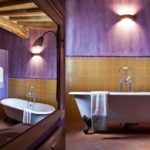 LAVENDER ROOM (DOUBLE): the unmistakable lavender color of the walls, brightened by a touch of yellow, creates a relaxing, comfortable atmosphere. 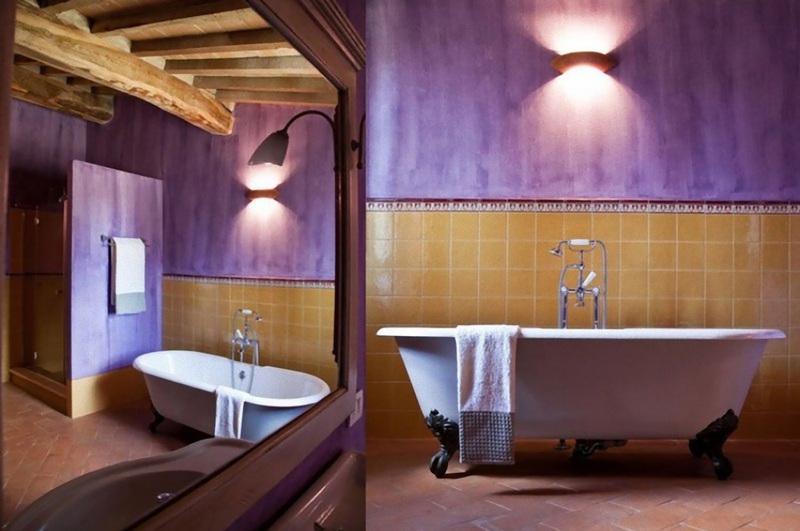 The cozy bathroom, with its shower and bathtub, adds to the feeling of complete relaxation. 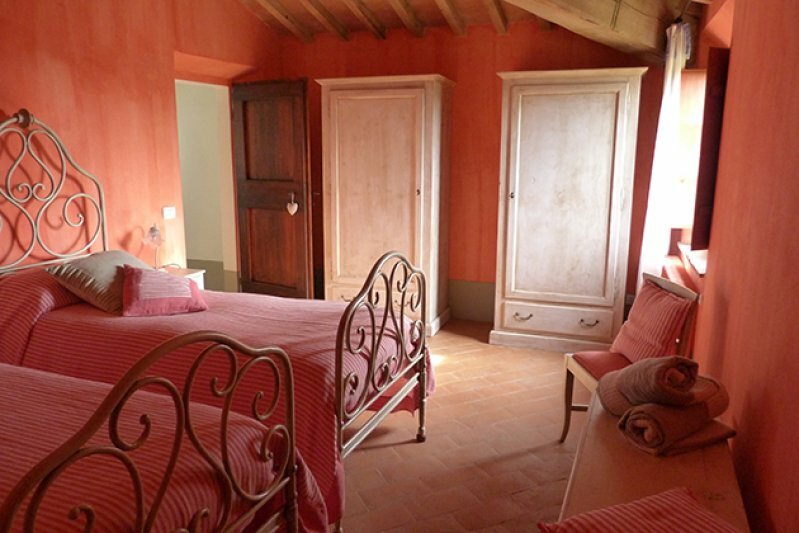 POMEGRANATE ROOM (DOUBLE): its pink-orange color, typical of the pomegranate, gives this room a warm, cozy atmosphere. 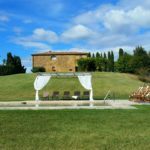 It has a large, elegant bathtub inside the room and a beautiful view over the gently rolling Tuscan hills from the window. Directly outside the living room you access the patio area, shaded by a magnificent wisteria. You can admire the breathtaking views of the swimming pool and the gentle Tuscan hills in the background. 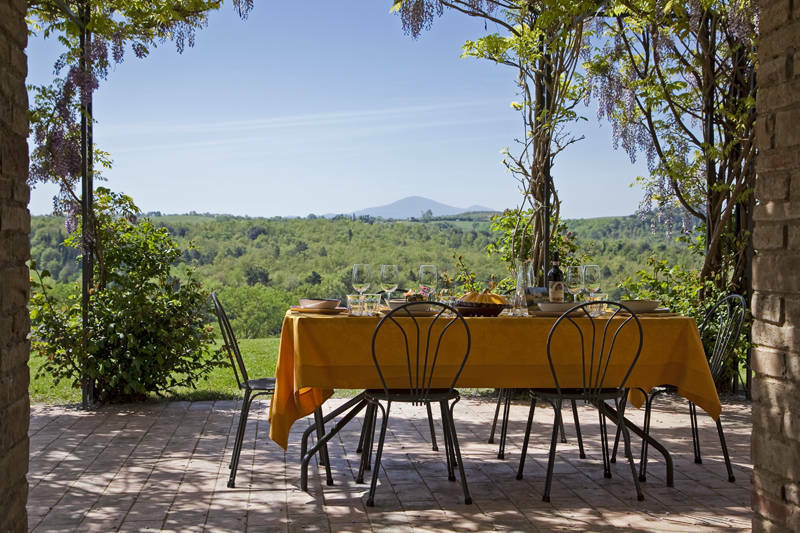 A unique spot for “al fresco” dining, by the traditional wood burning oven. 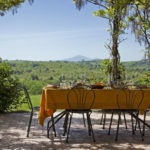 A few meters from the beautiful outside pergola, under which you can enjoy a pleasant lunch and dinner, you will find a lovely organic kitchen garden where you can pick the fresh vegetables yourselves. 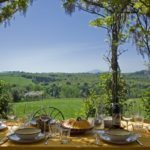 The large private garden with a panoramic swimming pool looking out over Montepulciano is equipped with a barbecue where you and your friends can cook. 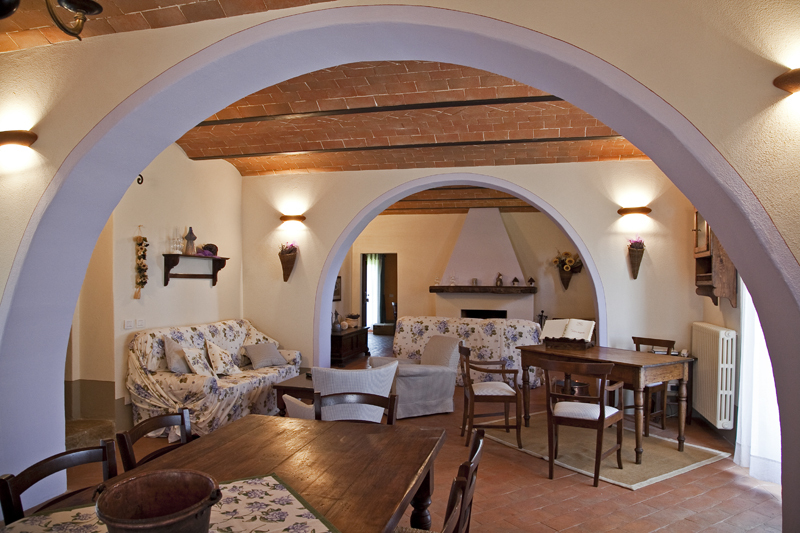 Under the portico a characteristic wood oven is available to make pizzas and home-made bread. 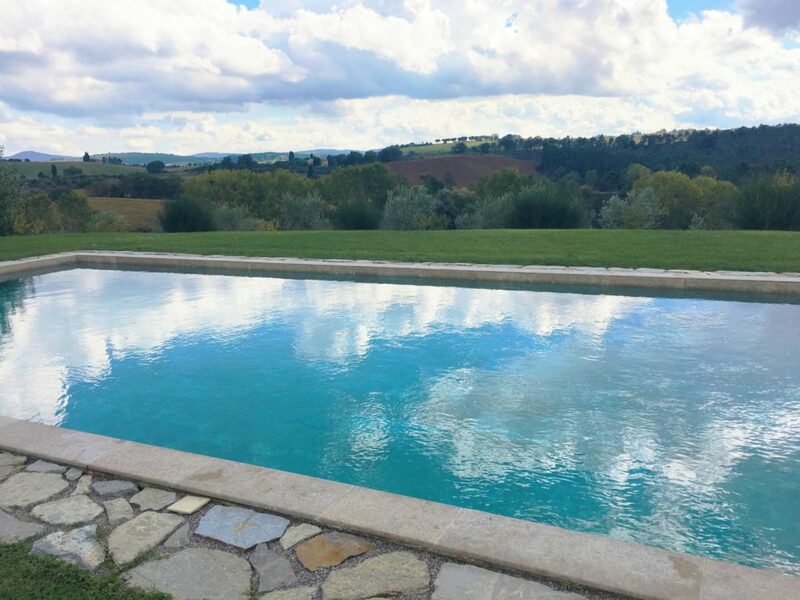 Unique Private Pool with a breathtaking view! 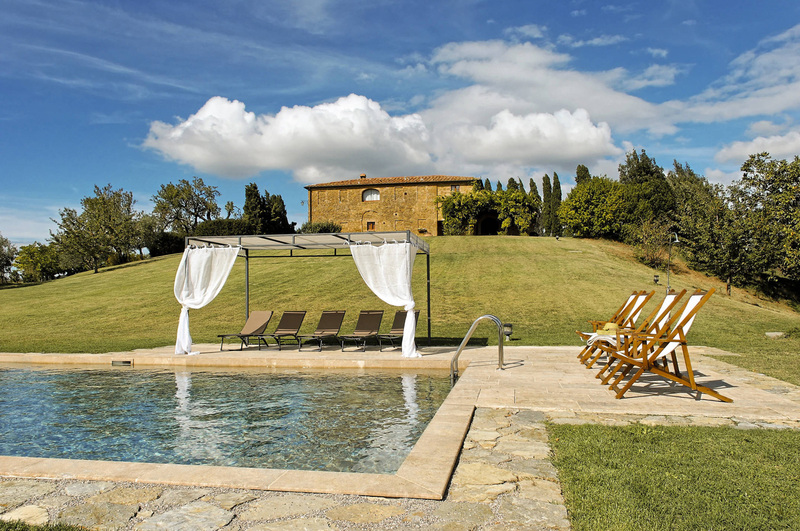 Relax and let enjoy Tuscany! 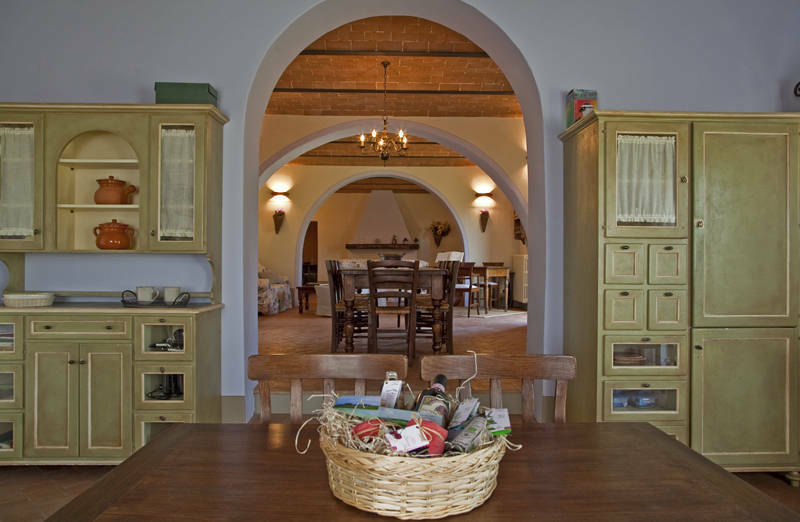 A bottle of our organic extra virgin olive oil and a selection of our organic products to welcome you, for a holiday in harmony with nature. 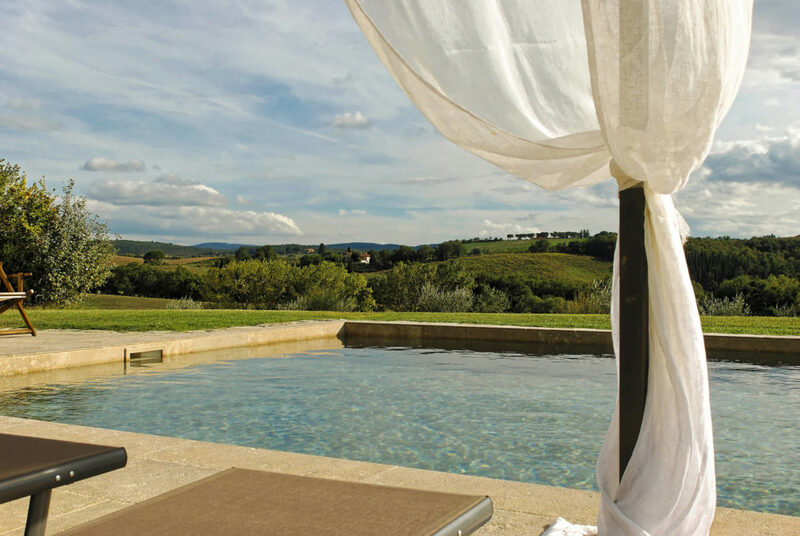 Relax in the sun on the comfortable sun beds besides the lovely pool, with a breathtaking view of Montepulciano, magically painted red by the sunset. 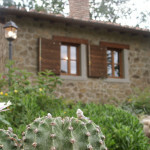 Enjoy organic vegetables directly from our little kitchen garden. 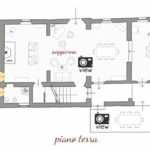 Internet connection WiFi (pool zone too) , flat screen TV and satellite. 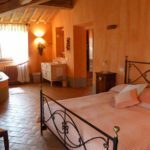 Hair dryer in each bedrooms. 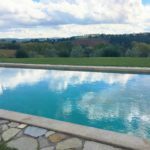 Villa Ceppeto is a dreamplace. The ideal place to start daily drives into the nicest places of Tuscany and Umbria.